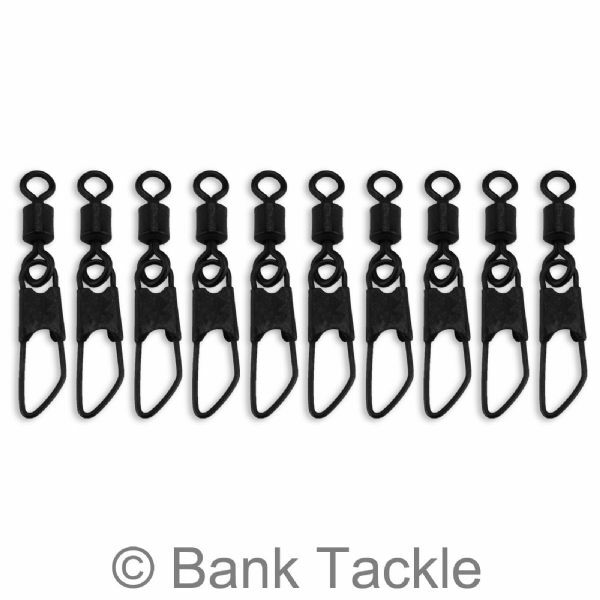 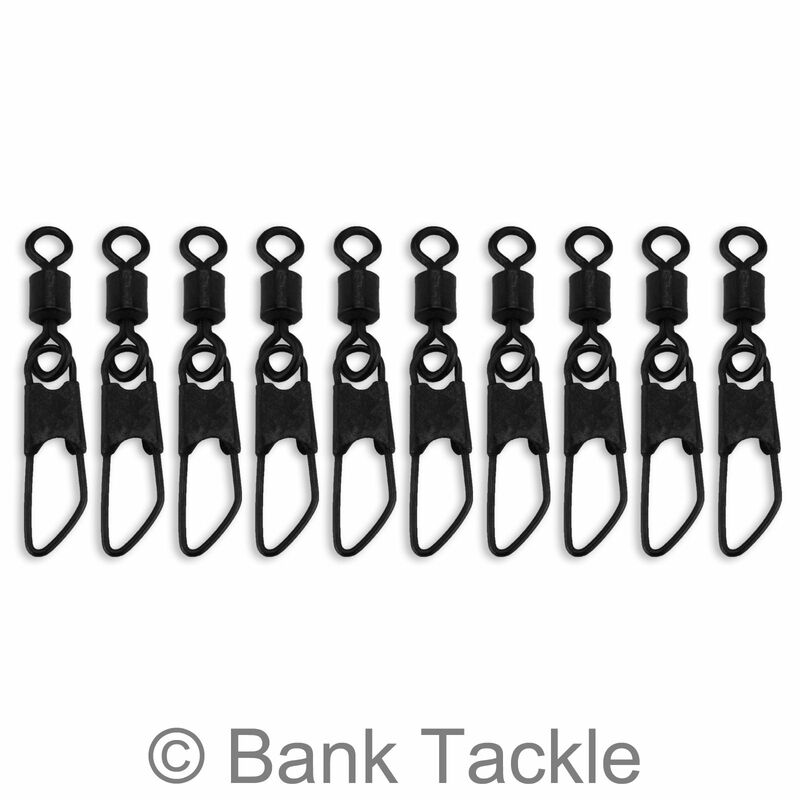 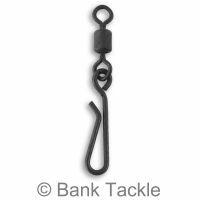 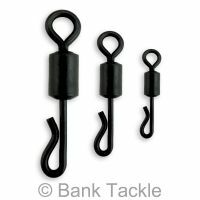 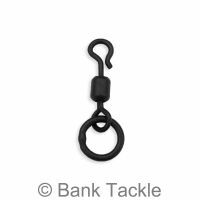 Size 8 rolling barrel swivels with a hanging quick change clip. 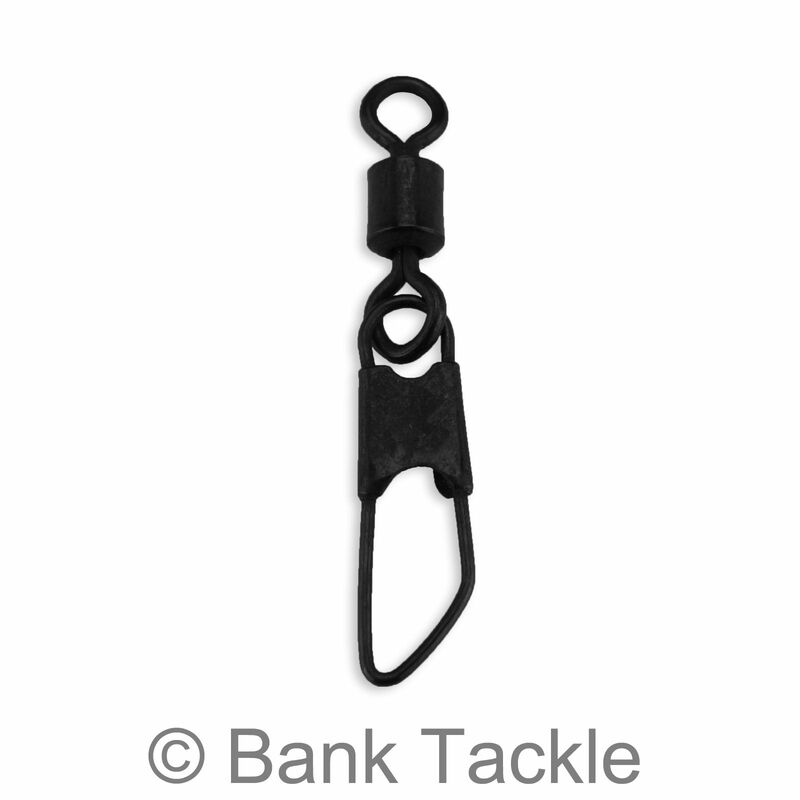 Perfect for times when you need to quickly and easily change your rig. 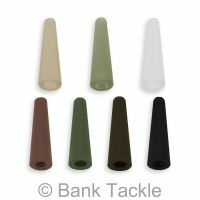 Matte black anti glare coating to help prevent spooking wary fish. It is advised to use Silicone Tubing to cover the quick link clip.